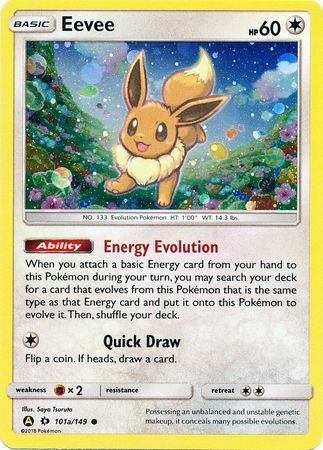 Ability: Energy Evolution - When you attach a basic Energy card from your hand to this Pokmon during your turn, you may search your deck for a card that evolves from this Pokmon that is the same type as that Energy card and put it onto this Pokmon to evolve it. Then, shuffle your deck. Attack #1:  Quick Draw. Flip a coin. If heads, draw a card.